The new age of presenting programming is a model in flux, and the streaming service DAZN is illustrating that today. The OTT service, which started offering service in America in September of 2018, came out of the gates offering their content, which includes professional pugilism as well as mixed martial arts fare as primary drivers for persons reading this website, for $9.99 a month. You got a month free to try it, and could feel free to cancel at any time. This play contrasted with the working models in the boxing sphere, which mostly saw the best content flow to premium cable outlets, HBO and Showtime, with the top tier fights being offered on a pay-per-view basis. DAZN, in trying to enlarge their world foot-print, assumed that fight fans would be open to paying a monthly fee, to subscribe, and enjoy DAZN fare on the stream, be it on their computer, or thru a signal sent to their big-box TV, and NOT pony up a PPV fee to get the big bouts. The DAZN organization still stands with that as their main selling point, but the crew is tweaking their pricing points. Starting Monday, said Joe Markowski, a DAZN EVP in North America, DAZN will offer their content, which also includes some MLB programming, in two tiers. First, people will be able to purchase an annual pass, for $99.99 a year. Yes, do the math, that comes to less than the $9.99 per month ($8.33 per), over a 12 month period. Then, the pay as you go plan will still be available…but the pricing for the option will now be set at $19.99 a month. Markowski, speaking from the UK, told RING that the DAZN squad has determined in their time in the space that there are basically two kinds of consumers watching DAZN and who might be DAZN subscribers. Markowski made sure to mention that current subscribers will be grandfathered in, at that $9.99 a month rate, before the new price points are activated on Monday, March 25. The grandfather clause will be in play for one year, he stated. “We want to be transparent, we’ve been planning this for awhile,” he said. It has been something of a hectic time at DAZN, which is headed up by ex ESPN exec John Skipper, regarding day to day programming decisions. The stream giant, entrenched in Germany, Japan, Italy, and more, wants to get their subscription base to a braggable number and have been spending copiously to make inroads. 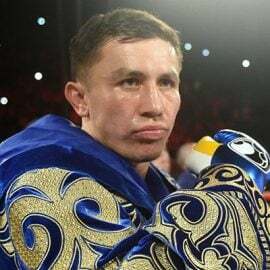 They made Canelo an offer he couldn’t refuse the end of 2018, and then followed with his rival for the ages, Gennady Golovkin. Those two will in all likelihood have their third fight later this year, and it will be on the stream service, not on pay per view. 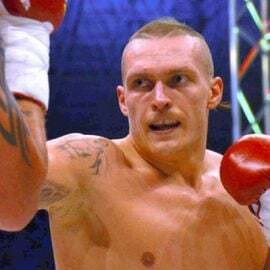 Skipper recently sat down with WBC heavyweight champion Deontay Wilder and put forth versions of an offer that would have made him generationally wealthy. Wilder could have fought Dominic Breazeale, as he is on May 18, and then clashed with titlist Anthony Joshua, who is aligned with Eddie Hearn’s Matchroom, and who will be fighting for the first time in America, on DAZN, June 1, at Madison Square Garden. Wilder chose to stay a free agent, and will fight Breazeale on Showtime, not on PPV, as had been floated. And then, from there, he hasn’t tipped his hand what he wants to do next. 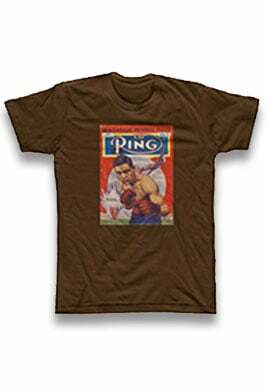 Perhaps see if Tyson Fury, now allied with Top Rak and ESPN, wants to fight a rematch. On what platform(s), that would have to be ironed out. On social media, certainly, Wilder has been faced with blowback from fans who don’t fathom his decision. 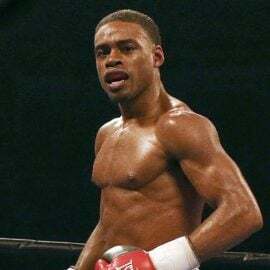 He’s been told by advisors Al Haymon and Shelly Finkel that he could succeed, moving forward, in the vein of Floyd Mayweather, who utilized flexibility after breaking up with Top Rank, and was shaped into a PPV all-star. It of course remains to be seen whether Wilder could follow in those footsteps…or fate will plan a diet of curveballs being thrown his way, and down the line he will wish he took that guaranteed DAZN money. Fight fans seem to be parked in different camps; old guard types have been resistant to the move to OTT, which also includes Top Rank’s all-in move with ESPN, which is trying to boost their OTT service, ESPN+, and features boxing as a lesser level of magnet than does DAZN. One person sympathetic to DAZN and their model told me that a direct compare/contrast between DAZN and ESPN+, which costs $4.99 a month, isn’t applicable. “We don’t stash our premium fights on pay-per-view,” that person pointed out. 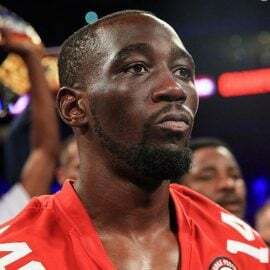 Indeed; on April 20, Terence Crawford will fight Amir Khan, from Madison Square Garden, and that fight and support bouts will be played on PPV, not on ESPN or ESPN “regular.” The DAZN rooter said a fight fan pays for ESPN+, plus a portion of their monthly cable goes to pay for ESPN…and then they have to dig in to their wallet for PPV, as well. 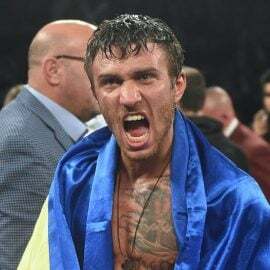 Regarding the spurning by Wilder of the DAZN offer, Markowski put a no comment on the record, and said his team wants to “concentrate on the best schedule in boxing right now.” Joshua versus Miller will unfold June 1, and before that, Alvarez has his second fight on the OTT platform. 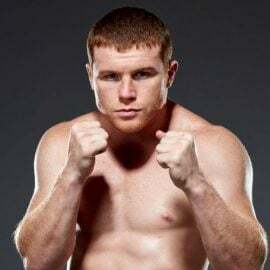 He meets Danny Jacobs May 4, in Las Vegas, and on DAZN. All in all, this is yet another period of transition in the fight game, and is playing out as a golden age for high-grade fighters, who attract bidding wars. For fans, the benefits and realities are still being analyzed and assessed. Follow Woods on Twitter @Woodsy1069.